Long-term care planning seems fairly straight forward; however, there are some startling facts about planning for long-term care that many people don’t consider. 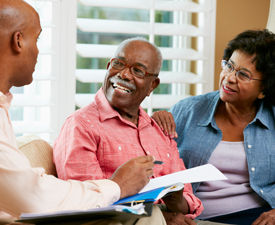 Here are a few facts you should know before planning long-term care. Roughly 70% of people aged 65 or older will require long-term care and/or home care support at some point. This startling fact really drives home the necessity for early planning of long-term care. The median daily cost for a private room in a nursing facility or nursing home was $240 in 2014, according to Genworth 2014 Cost of Care Survey. Also, the average stay duration at a nursing home in 2014 was 835 days, or a little over two years. Some people think their family will take care of them in their old age, and around 78% of elderly individuals receive that care from a loved one. The fact is this care can’t be continued on a long-term basis. Family members want the best for their loved ones, but the type of care that is required truly needs to come from professional caregivers. Having a professional nursing home or other facility also reduces stress within the family. Many people do not want to even consider entering a nursing home, and some people are turned off by long-term care insurance thinking that this option only pays for nursing home stays. The fact is that long-term care insurance can sometimes cover an assisted living facility and in-home care, among other options. Less than a third of Americans aged 50 and older have yet to start planning for long-term care. Why? Many consider themselves too young to worry about this necessity, and they may be right. But, if they continue to put it off, long-term care options continue to dwindle as time progresses.